CHRYSLER SEBRING JS 2007 - 2009. FITS FOR : CHRYSLER SEBRING JS 2007 - 2009. RIGHT O/S DRIVER. (LEFT HAND DRIVE ). CHRYSLER SEBRING JS 2010 - 2011. FITS FOR : CHRYSLER SEBRING JS 2010 - 2011. LEFT RIGHT. Piloto Tra. CHRYSLER SEBRING Convertible (JR), 2 puertas. Código interno para información: 915140. Llama ahora ! También atendemos por whatsapp. En todo material eléctrico NO podemos ofrecer Garantías, si el vehículo tuviera algún cortocircuito o algún otro problema no detectado quedaría inservible la pieza. Piloto Tra. CHRYSLER SEBRING Convertible (JR), 2 puertas. En todo material eléctrico NO podemos ofrecer Garantías, si el vehículo tuviera algún cortocircuito o algún otro problema no detectado quedaría inservible la pieza. CHRYSLER SEBRING JR 00-07 SALOON. 1 RIGHT REAR LAMP. Unit 4 Blackwood Court. light bulb not included. ADD TO FAVOURITE. Daiko Parts. Always carefully compare OE number and pictures with your old part. 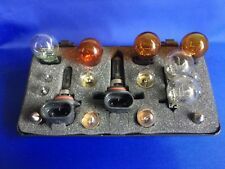 Chrysler 300c Sebring Clear Side Repeaters Indicators Crd Hemi 3.5As a pair. All cars we dismantle go through a test drive plus a full electronic diagnostics via the obd port and a test of most the electric parts. 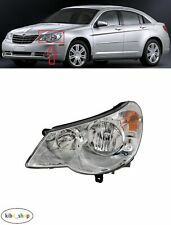 Chrysler Sebring Passenger Rear outer Light 2008. Condition is Used. Dispatched with Other 48h Courier. Fertig zum Einbau! EU Scheinwerfer für Chrysler Sebring Cabrio - Sedan ab 2000-2006. Die Ware wird unter Ausschluss jeglicher Gewährleistung verkauft. Der Ausschluss gilt nicht für Schadenersatzansprüche aus grob fahrlässiger bzw. CHRYSLER SEBRING JR 2003 - 2007. FITS FOR : CHRYSLER SEBRING JR 2003 - 2007. LEFT RIGHT. (LEFT HAND DRIVE ). 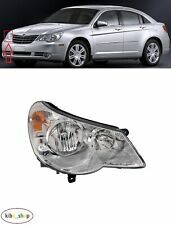 Chrysler Sebring Drivers Rear outer Light 2008. Condition is Used. Dispatched with Other 48h Courier. CHRYSLER SEBRING JR 2003 - 2007. FITS FOR : CHRYSLER SEBRING JR 2003 - 2007. (LEFT HAND DRIVE ). RIGHT O/S DRIVER. They will upgrade the standard bulb. 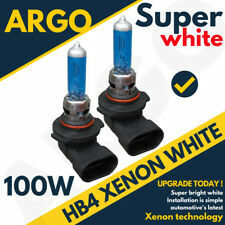 They are usually fitted to older cars that only have 1 bulb per headlight. You should always replace the bulbs on both sides of the vehicle. You can fit these bulbs yourself, the job requires no specialist tools or knowledge, just patience! CHRYSLER SEBRING JR 2003 - 2007. FITS FOR : CHRYSLER SEBRING JR 2003 - 2007. (LEFT HAND DRIVE ). LEFT N/S PASSENGER. CHRYSLER SEBRING JS 2007 - 2009. FITS FOR : CHRYSLER SEBRING JS 2007 - 2009. 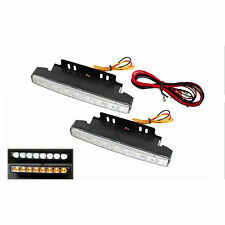 1X NEW FRONT FOG LIGHT LAMP. DETAILS : BULB TYPE - H10 BULB NOT INCLUDED; TYPE - USA VERSION. LEFT OR RIGHT. Piloto Trasero Derecha CHRYSLER SEBRING (JR), 5 puertas. en nuesta web encontrarás todo lo que necesitas. No dudes en llamarnos. En todo material eléctrico NO podemos ofrecer Garantías, si el vehículo tuviera algún cortocircuito o algún otro problema no detectado quedaría inservible la pieza. CHRYSLER SEBRING 2.4 año 2007-2011 izquierda delantera Faro FD05303963AE-A. ES DESCONECTADO DEL Chrysler Sebring 2.4 AÑO 2007. Other Part Number 316451. ELIN PELIN 2100. 29 LESNOVSKA. AUTOPARTES SERVICIO 86 LTD.
El 19-ene-19 a las 23:54:35 H.Esp, el vendedor añadió los siguientes datos Other Part Number 4806037AF, 4806036AF. Housing Color Black. Lens Color Clear. Manufacturer Part Number 08588. Bulb Type Halogen. Original MOPAR Scheinwerfer vorne rechts Chrysler Sebring. - 1x Original Scheinwerfer rechts. CHRYSLER SEBRING JS 2007 - 2009. FITS FOR : CHRYSLER SEBRING JS 2007 - 2009. 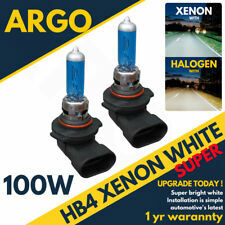 DETAILS : BULB TYPE - H10 BULB NOT INCLUDED; TYPE - USA VERSION. LEFT RIGHT. CHRYSLER SEBRING 2007. DRIVER SIDE HEADLIGHT. Most electronic components require programming after installation. IV / HS / KA / KW / PA / PH / ZE / TR26 / TR27 / BT / IM / GY / JE / BF. BEFORE you commit to buy –. Main use;Stop /Brake Light /Tail Light. Manufactured to a High Standard. STYLE Saloon. 2008 CHRYSLER SEBRING L Taillight. MODEL SEBRING. SEBRING 2007 -2011 Mk2. MAKE CHRYSLER. CAR COLOUR Silver. Colour Code. The unit is used for motor racing. 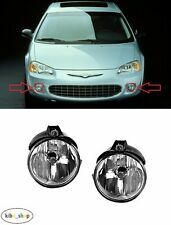 Para 2003-2005 Chrysler Sebring Coupe conductor lado linterna cabeza luz LH. Application for 2003-2005 Chrysler Sebring Coupe. Certifications SAE. Certifications DOT. MIS ARTÍCULOS A LA VENTA. Añadir a Favoritos. Chrysler Sebring / Dodge Avenger JS 2007-2010. Vehicle Identification Number - VIN. We will be very happy to talk and help you to get the compatible / correct parts. Many cars have more than one option, even though the compatibilty info says that it fits your car. Chrysler sebring limited 2.0 CRD 5 door saloon 2007 - colour code PXR. Rear passenger side tail light lamp. -All the parts are from UK which are RHD vehicles, we can not promise that the parts will fit LHD vehicle. STYLE Saloon. 2008 CHRYSLER SEBRING R Taillight. MODEL SEBRING. SEBRING 2007 -2011 Mk2. MAKE CHRYSLER. CAR COLOUR Silver. Colour Code. The unit is used for motor racing. CHRYSLER SEBRING JR 00-07. 1 LEFT REAR LAMP. Unit 4 Blackwood Court. light bulb not included. LIncoln LN6 3AE. Daiko Parts. Always carefully compare OE number and pictures with your old part. › Watch Item ‹. BMW 318 2001 Saloon. CHRYSLER SEBRING LIMITED 2.0D 140BHP 6 SPEED 4 DOOR 2008. 206 1.4 hdi van white. Gear Box Code: KN9D 6 SPEED. GLASS AND BODY PANELS. All parts are used second hand parts unless otherwise stated. Other Part Number 5303747AD, 5303746AD, 5303747AE, 5303746AE. Lens Color Clear. Manufacturer Part Number 08591. Bulb Type Halogen. Interchange Part Number CH2503223. Interchange Part Number CH2502223. Para 2007-2010 Chrysler Sebring conductor lado linterna cabeza luz LH. Certifications SAE. Certifications DOT. MIS ARTÍCULOS A LA VENTA. Añadir a Favoritos. bajar resortes. K & N FILTRO DE ACEITE. Coilovers Racing. Ricambi originale Chrysler usato. Foto prodotto originale venduto.